Villanelle is an assassin for the Twelve. Normally in a series like this where there are two leads, I would title it "Villanelle and Polastri" but in this case, I go back and forth. First, whether to combine them in the title because that always implies the two are a partnership but that is definitely not the case with these women. Second, only Eve Polastri is a "spy"; Villanelle is a paid assassin for a greedy cabal. So I give title role to Polastri and honorable mention to Villanelle. Thinking about it a tad more, Villanelle might shrug and not care. She also might become annoyed and end me. You never, ever know with Villanelle. Starting with Villanelle because she is the first of the two the reader meets, her real name is Oxana Vorontsova, citizen of Russia. In her mid 20s, she had been a promising student in French and Linguistics at the University of Perm. That potential took a sharp turn when she was arrested for murder and sent to the Dobryanka facility in the Ural Mountains. Vorontsova may or may not have confessed to the crime, for which she was definitely guilty, but she did not really proclaim her innocence either. A female teacher of hers had taken Vorontsova under her wing and nurtured her impressive abilities. When Vorontsova began to have urges towards the instructor, they were rebuffed which upset the young woman. Still, when the teacher was attacked and raped shortly thereafter, Vorontsova took it upon herself to find and castrate the man responsible. That he died as a result neither pleased nor worried her. When talking about how Vorontsova, soon to be Villanelle, felt about anything, it is important to stress that any comment on emotion be guarded because Vorontsova really has none - or at least none in the traditional sense. She strived for years to pretend she had them but it was all pretense. Vorontsova is a psychopath. She has her own style of emotions far different than the normal person. She can get excited or furious but the triggers for each are hard to predict. The concept of love and hate, however, are strange to her. Whatever she felt for the teacher, be it lust or possessiveness or curiosity, it was not love as most people know it. When that woman was attacted, it was not hatred at the assailant. He took something she wanted. She made him pay. Being assessed as a cold-blooded killer would have likely put her away for life in the grey walls of the prison but Constantin, working on behalf of the Twelve, needed a killer. He needed a female because they were less likely to be suspected of being dangerous. He needed someone athletic and intelligent and good with languages to travel the world. He needed someone without a conscience to kill anyone at any time. So he found her and had her trained for well over a year, all over the world and in a wide variety of fields she would need to survive. 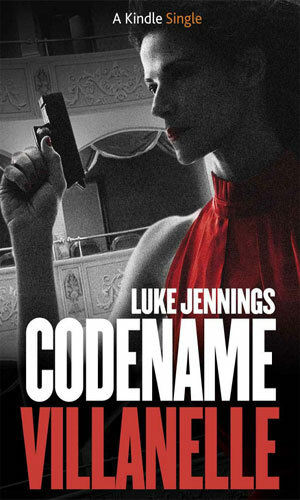 And then he put her to work, allowing her to pick her own codename. 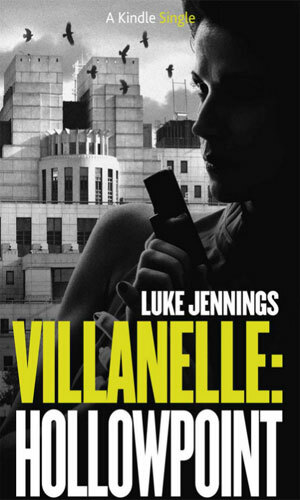 She chose Villanelle for a fascinating reasin (read the story to find out). Eve Polastri is a 29-year old woman, married to Niko, working as the newly assigned head of P3, a subsection of the Joint Services Analysis Group in MI-5. It was her section's job to "assess the threat to 'high-risk' individuals visiting the UK". Her previous boss had moved up the chain and she was given the job and she enjoyed the challenge but still it lacked something. She is described a good-looking but unremarkable person. "She might be an academic, or an assistant in the better sort of bookshop" it is written about her. More telling, though, is "Her colleagues know Eve Polastri as a hunter, a woman who will not readily let go". It is this wanting of more in her job that will get her so intimately involved in the world of the assassin Villanelle. When a high profile visitor is killed in London, she takes the fall. No matter that she had advised on greater protection for him and had been rebuffed. Someone needed to take the hit and she was it. It probably did not help that she expressed the belief the killer was a woman. Male egos tend to be frail. Out of a job and still sore about her being booted and still certain she had been right, she is primed for the visit of a big-wig in MI-6 who believes her and wants her to prove it. So, the two stars of this series are women who are both hunters in their own way. Villanelle stalks her prey to eliminate them. Polastri stalks Villanelle because she finds she really cannot not go after her. As mentioned below, the first book in the series is a combination of the four previously released novellas. The second book was written and released after the BBC America drama proved an incredible hit. A novel created from four originally separate novellas. Villanelle is performing assassinations all over the world. When one of her targets is a person that Eve Polaski had been nominally in charge of protecting, Polaski takes the fall but is given a chance to go after her. "In this sequel to Killing Eve: Codename Villanelle, former M16 operative Eve reveals a new side to her strengths, while coming ever closer to a confrontation with Villanelle, the evasive and skilled assassin." 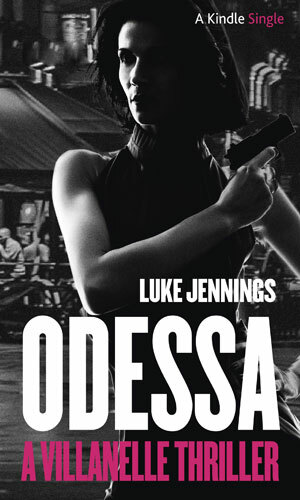 The story of how Oxana Vorontsova is recruited from a Russian prison, specially trained in numerous methods of killing and survival, and then finally sent on her first assassination, a Mafia crime boss in Italy who has upset the Twelve. Villanelle latest target is a Russian agitator who has outrageous ideas which are gaining an impressive following which in turn threatens the status quo and upsets the Twelve. Taking him out, though, will put MI-5 agent Eve Polastri onto her and start the hunt. 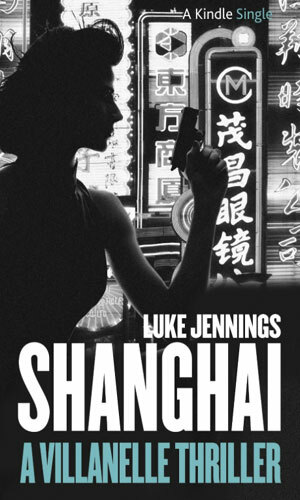 In Shanghai, Villanelle uses a man's unusual predilections to kill him and thus take out the head of one of China's leading cybercriminal gangs, a gang that is costing the Twelve money. Eve Polastri, now with MI-6 unofficially, is sent there to find what evidence might linger. The mission for today is unlike anything Villanelle has ever tried - actually helping someone instead of killing them. Constantin is being held prisoner in Odessa and Villanelle means to get him out. Meanwhile Eve Polastri is closing, snapping at her heels. Better people than I have taken a crack as putting the television show into a genre and have by and large failed. It is a drama but there are a good number of truly funny moments in it. It might be called a "black comedy" but that would imply that humor was its primary objective and that is absolutely not the case. It deals with a government agent and an assassin for a secret cabal but it does not really fit the sterotype of a spy show. And it has a lot of elements of a police procedural but again, not quite. What it is, IMHO, is a fantastic series that grabs the viewer and will not let go. Bored with her job, Eve Polastri is excited to be given the job of protecting the only witness to the assassination of a visiting Russian politician. Villanelle is told to take some time off before her next assignment but she does not listen to anyone. Eve Polastri is out of a job and ready to be hired for an ad-hoc MI-6 job of tracking the killer. 3 Don't I Know You? 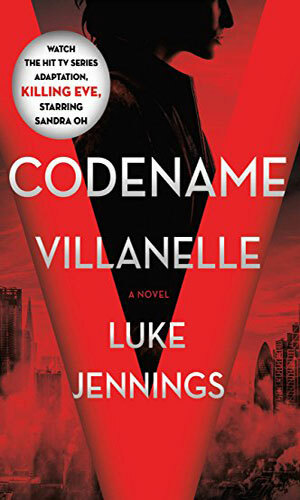 The murder of a Chinese colonel by Villanelle in Berlin brings Eve Polastri and her former boss, Bill, to investigate. With Villanelle now fascinated by Eve and Eve determined to destroy Villanelle, things are getting heated. Eve is certain there is a mole in MI5. Villanelle is sent to England to take out an intelligence officer, curious whether that is Eve. Having survived a run-in with Villanelle, Eve Polastri is pleased they have the mole captured and hidden away for interrogation. 6 Take Me To The Hole! With the co-assassin Nadia in a Russian prison, Villanelle, Eve, and Constantin all have their separate reasons for getting to her quickly. Meanwhile, Eve Polastri is starting to have concerns about her MI-6 boss. With Kenny now in Russia to help, Eve Polastri is hopeful about wrapping things up. Then her boss orders both back home with the revelation that their star witness, Nadia, has been killed. Things go really bad really fast. Villanelle grabs a hostage that is a crazy as she is. Eve Polastri sees her career and her marriage floating away. Something is about to change drastically. I had already collected the first three novellas in what I logged as the Villanelle series. I had not read them yet but they were definitely on my digital stack awaiting their turn. Then I saw an announcement of an Emmy nomination for actress Sandra Oh, whom I had recognized from my wife's addiction to Grey's Anatomy. When I heard the title of the series for which she was up for the aware, Killing Eve, I was intrigued enough to look it up and became even more intrigued. I was also disappointed that I had missed the show when it first aired in April/May of this year. Right after that, I heard another mention of it and the fact that the cable network which owned it, BBC America, was going to run a marathon of the 8 shows later in the month. I went to my DVR and set the programming to grab all 8. I figured if my wife and I did not like them, the Delete button worked quite nicely. We were both hooked from the beginning. The first episode finished and she said before I could, and I was planning to, "Let's do another!" We would have done a third except it was late and I had work the next day. That next evening, though, you know we watched another two episodes. Two more the next night. Sadly the last two the next. Now, we knew that there was already being planned a second season based on what I had read online so we were a bit worried about a let-down in the last episode but it did not happen. Did the story completely end? Of course not. Did it end enough to satisfy us? Oh yeah! Having just gone on about our enjoyment of the television version, I want to confess that I had watched, and loved, the first episode and was just starting up the second when the "Based on ..." credit appeared. I reached for the remote and played it back and froze it. "Wait a minute!" I said to my wife. "I HAVE those novellas." She was all interested and such and said, "That's nice, dear. Hit PLAY". I did. It took me a couple of days to finish the two books I was already reading and then I started the first of the novellas. I am experienced with book->TV and book->movie adaptations to know that there is a lot that can and will change. Moreover, the extended behind-the-scenes peeks the reairing showed let me know they had changed a lot. The specifically stated they had added a fair about of off-beat humor here and there which was not in the novellas. So I was ready. They were right. The novellas do not have the sometimes wacky snippets here and there that the shows had. They do possess, though, the same intensity and "keep reading" compulsion that Killing Eve gave. Eve is the biggest change. And yet she is really the same. She is not of Asian descent. Doesn't matter as her ethnicity does not play a part in either book or TV. Eve in the book is British. Eve in the TV show is British born, American raised, back-to-Britain as an adult. Again, a distinction making no difference here. Both Eve's are wonderfully driven and both show the same tenacity and energy. Villanelle is, to me, the same in both which is terrific. Well, there are a fair number of subtle differences but none worth mentioning because "both" Villanelles are highly skilled, awesomely lethal, and totally psychopathic. What a wonderful spooky and mesmerizing character she is, both on page and on screen. 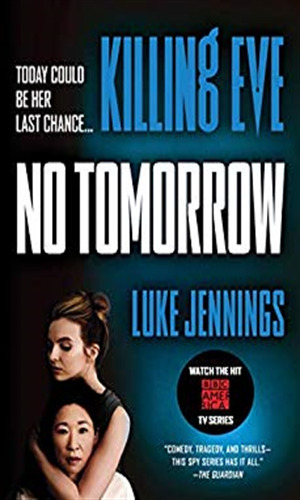 Where Luke Jennings will take Eve and Villanelle in the next book is of considerable interest to me. Where Phoebe Waller-Bridge will take them in Season Two is also eagerly awaited. Whichever way either heads, similarly or separate, I will follow both gladly. Regarding my grade. If I had to grade the novellas and the resultant book combination, I would probably have gone with an A-. Throwing in the television drama, I give an A.